20140324 -Up in the am and in to work, the fam at home starting their spring break in the freezing cold and stuck in the house. They showed up at my office to take me to lunch. 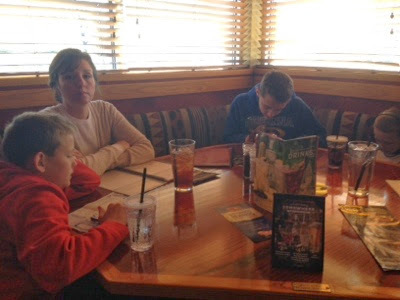 I got to introduce the fam to the guys at work and we headed to Red Robin for a burger. It was a nice break. Finished up the day and headed home. Hung out with the fam tonight getting things wrapped up as best I can for work trying to take a couple days off. 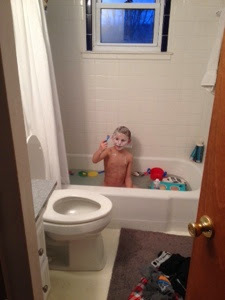 G took a bath and I caught him shaving!